Need an Escape from Old Man Winter? Discover the All-Inclusive Now Resort and Spas! This is a Sponsored post written by me on behalf of Now Resorts & Spas. All opinions are 100% mine. Are you dreaming of an escape from the brutal winter weather? Do you find your thoughts drifting to an oceanfront location where you can soak up the sun, experience new adventures and create memories to help you survive the rest of this what appears to be never ending winter? Do you long for an Unlimited Luxury vacation in a place where the sun is shining and there are no snowflakes to ruin your plans? If you answered yes then keep reading! I can’t wait to tell you about Now Resorts & Spas! Imagine spacious suites with well stocked mini bars, gourmet dining options ranging from Mexican to French and Italian cuisine, super cool bars serving unlimited drinks from the best brands, and a connectivity suite that will take the worry of high priced international calls away. Can’t you feel the stress of your daily life melting away? The luxury doesn’t stop there. Now Spa by Pevonia is ready to pamper you with a massage, to indulge you with hydrotherapy and to treat you like a goddess with indigenous rituals. I know what you are thinking… What about the kids? Have no fear Now Resorts & Spas has you covered for Family travel! Now Resorts and Spas have specially trained staff and 2 clubs for the kids, the Explorer’s Kids Club (ages 3-12) and Core Zone Teens Club (ages 13-17) offer supervised activities to keep the kids entertained (and happy) while you relax. Doesn’t this sound like a dream come true? Keep reading! You haven’t heard about the breath taking locations or the amazing activities offered at each of the Unlimited-Luxury® Now Resort & Spa locales. Located 12 miles from Cancun, Now Jade Riviera Cancun offers an amazing treasure hunt at the hotel, this will be a favorite activity of the little ones as well as the kids at heart. You can enjoy a Kayak tour on the beach, test your knowledge with musical trivia by the pool, go deep sea diving in the gorgeous Pacific Ocean and take in the entertainment of fire breathers and Idol Style singing shows. Now Sapphire Riviera Cancun is located 15 miles from the Cancun International Airport. This resort is a AAA four diamond award winning resort. Here you can melt the tension away with yoga or take in a movie, on the beach. If you like sports, you will love beach soccer and volleyball. If you are a thrill seeker, the on site Euro Bungee attraction will send your heart beating faster. If you love the water, you won’t want to miss out on a chance to go sailing or windsurfing. You might even try your hand at water polo. 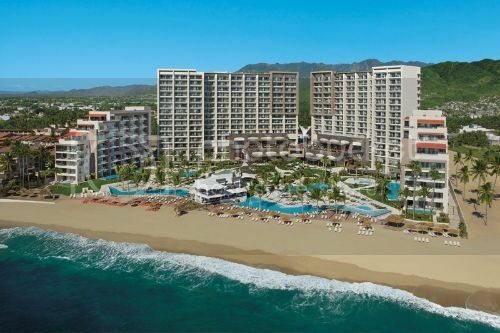 Now Amber Puerto Vallarta is located on the sapphire waters of Banderas Bay. This resort is perfect for someone that wants to get adventurous in the ocean. You can have a blast in one of the Hobie Cats. Your husband or partner will love the archery and rifle ranges as well as the complimentary greens fees at the 18 hole championship golf courses. There is a ton of fun to be had by the whole family at this lovely resort. Imagine kayaking with the kids at the Aquatic Center or scaling an inflatable iceberg. There are memories to be made with a family boogie boarding adventure and the sound of your kids laughter on the family water slide will warm your heart many times after you check out and it will beckon you back to make new memories next year. 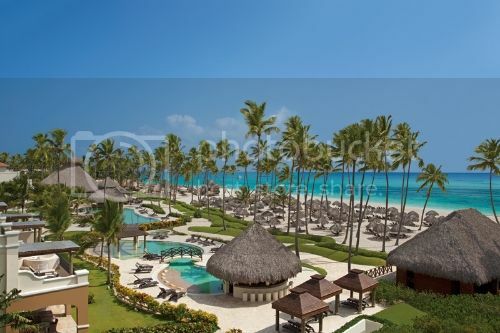 Now Larimar Punta Cana is located in the Dominican Republic on more than 700 picturesque yards of the Caribbean Sea. Awaiting your discovery is an on site casino featuring the hottest games like black jack, poker and of course slot machines. You can get adventurous by climbing the rock wall or you can let your inner baseball star shine in the batting cages. There is a helicopter on site for island excursions and a weekly market to offer you a taste of the local arts & crafts. You can pick up something beautiful and handcrafted here to offer a tangible reminder of this amazing Unlimited Luxury Now Resort & Spa. Now I need your help! Which All-inclusive luxury resort sounds like heaven on Earth to you? What activities would you most want to participate in? Choose my Escape and tell me about your dreams of fleeing this brutal winter season – and we both might win a trip to the property! There are a lot of bloggers promoting this giveaway, and whomever receives the most comments on their blog post and social media shares will win a trip! Leave a comment below for each share that you do! I’d love to visit Now Jade, looks gorgeous and my kids would love the entertainment and kid friendly activities! I’d love to go to the Now Jade resort. Been there twice and loved it!! Would dearly love to go again, this time to take my mom with me to share a special memory with her ! i NEED to get away from snowy cold Connecticut to the Now Jade Rivera. My kids would LOVE the scavegnture hunt, for sure. and I need some “laying around on the beach time”. I’d visit any of these resorts in a heartbeat! It’s so cold in Ohio that I’d welcome a warm weather getaway. This winter is just dragging on way too long! I can feel the cold air from my windows and I needed a little “zone out” looking at the warm pictures and hearing about kayaking and all the other amenities. I’d especially love to try the local arts and crafts, I bet that includes amazing food and treats. I’d visit any of those resorts in a heart beat! Here in England, we have had torrential rain and flooding for weeks… I’m going crazy for some sunshine! I would LOVE to get away to somewhere warm right now. These negative temps are killing my skin. That looks heavenly! Especially considering we are just getting over -50 windchills. Pick me! I am not picky! gorgeous!! oh, would that be nice right about now! Oh so beautiful, I’ve never gone on a trip like this, I really should talk to hubby about doing it! What an amazing trip any of these would be . 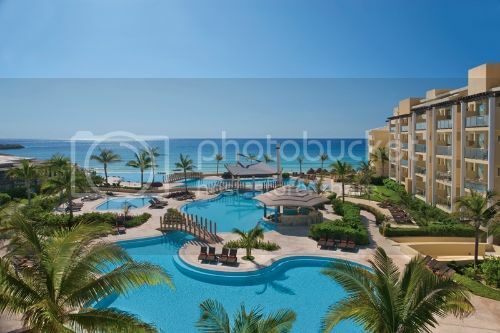 I think I would choose Jade Riviera Cancun. I’d love to visit ANY of these! It’s been -40 degrees here for a month! Punta Canta looks amazing! This looks like a beautiful place to vacation! I would love to visit with as cold as it’s been lately. The second and third one sound the most appealing to me, I think. So many fun activities! The one has an iceberg…whoop! This is the warm break I so need! Just looking at this picture makes me warmer! They all look amazing! The Now Sapphire one would be so fun to visit! i’d gleefully head to ANY of those resorts. it’s 5 outside again today. AGAIN. Now Jada sound like a great place especially afer being in another snow/ ice storm here in Atlanta. My husband and I have talked about going to one of these all inclusive places a million times. Right now, though, our kids are still kind of young and honestly I don’t think I could go and truly enjoy the experience because I would be worried about them the entire time. We went to Vegas for 3 days and I was worried sick the entire time LOL. I definitely want to get to an all inclusive resort someday, though. They all look good. Love the teen interaction clubs. Nice to know they don’t leave them out. We’re planning a trip for the whole family this spring. I’ve never heard of Now before, but I’ll look into them! Our family absolutely LOVES travelling and I totally live to travel! I’ve actually never done an all inclusive place so that would be a lot of fun to try! And of course sitting here in the freezing snowy weather of our state I sure am looking forward to those warm beachy places you posted! Your pictures alone make me feel like I am staying at this lovely resort. I can’t wait for winter to be over. One day I will live on an island and enjoy the ocean breeze every day. After this brutal winter, I am in desperate need of a trip to a warmer climate. These pictures were a balm to my frozen soul! 🙂 I’m a huge fan of Punta Cana, DR and would love to check out the Now Larimar Punta Cana! That Jade Riviera resort is GORGEOUS!! So amazingly beautiful. I don’t think I’d ever want to leave the hotel to hit the beach! I would love to go to all those places. I need to go some where warm right now. I’m TOTALLY not picky. I could be whisked away to any of these and I promise I’ll “make do.” Ha! Seriously, though, all three are so gorgeous and picturesque, I can’t imagine making a wrong choice. I’ll say Puerta Vallarta sounds like a fun one for the family. I want to go now! Seriously, these pictures are gorgeous. The Now Amber Puerto Vallarta is where I want to be! Oh my! I think I am meant to live in this place. We have had snow on the ground here for an entire week, and I am completely and utterly over it. Thank you for these pictures. Just looking at them warmed me. I was just telling my husband I need to be on someone’s beach or at a resort. My birthday is coming up and my good friend and I are trying to decide where to go. This would be the ultimate dream! I just love the clear blue water, and not having to worry about cleaning up after myself or cooking, haha. I’d love to get away for a bit. I loved the snow that we had this week, but now I’m ready for some sun! Now Larimar Punta Cana is my favorite because it allows you to experience a little bit of true Dominican country while still being connected to the convenience and security of the resort. At this point, I’m not picky! I would visit any resort that had sunshine, beaches, tropical drinks and WARMTH! The main thing being the WARMTH! I need a vacation and all inclusive is the way to go! These resorts look amazing! I think I would most like to stay at Now Sapphire. Close to the airport, and beautiful views! From my past experience I would highly suggest choosing Now Amber!!! It was the perfect resort to go to whether you had kids or not! I went on my honeymoon and it was paradise! But still so family oriented that I have also suggested Now Amber to friends who have kids! My husband and I could not think of one complaint! Good luck! Would love love love to go to Now Amber! Please please please!! The resort sounds really nice. Jade River Cancun looks beautiful but I would love to get away anywhere you want to go! This Winter has been the most depressing with Extreme cold temps and record snowfalls! I have been to the Now Saphire Resort, and it is HEAVEN ON EARTH! My son and his fiance are planning on going for their Honeymoon in July. They picked it out of all the other resorts! Escape away to the beautiful Now Jade in Riviera Maya, Mexico! Its amazing Not to mention where I tied the KNOT!!! We went to the Now Amber last year with our children and they loved it! It is a newer construction. the resort was very compact, which was perfect for a family with children–short walk to everything, easy to get to the restaurants and easy to find the kids at the pool! They are asking to go back again! I vote the Now Larimar Resort. The evening entertainment was amazing, the employees were amazing. We were treated like royalty there. I cannot wait to go back there again some day. The rooms were awesome the views were out of this world. The food..omg the food. Lots and lots of it and many choices. Very clean and beautiful. My husband and I stayed at the Now Sapphire resort three years ago and loved it so much that we stayed again last year. I cannot speak more highly of the place and the staff. The accommodations are lovely and well maintained and the staff is attantive and courteous. The food is very good too although I have to admit that we haven’t eaten at all of the resaurants at the resort. We typically hit the buffet since it always has something good – breakfast is hands-down our favorite. The priority club pool is a quiet retreat and be sure to have Ivan reserve a Bali bed for you the day before! I really enjoyed the scuba diving the resort offered and my husband really enjoyed the speedboat/snorkeling adventure. The Shopping trip to Playa del Carmen is also fun (even in the rain). You will also want to go tot Isla Muerta – so beautiful! I’d be happy to show you around!!! All of the NOW resorts sound and look heavenly. All I can see right now is a foot of snow, but in my mind I am poolside with a fabulous umbrella drink. My kids have cabin fever, pick us to go to Cancun! The Polar Vortex has me stressed. I need some yoga at Now Sapphire Riviera Cancun! I would choose for you to go to The Now Jade Riviera Cancun in Riviera Maya. Its location right on the beautiful blues of the ocean is so enticing! To go to an all inclusive is truly a REAL vacation…theres no laundry, no cooking, no cleaning…only pampering and relaxing. THAT is what a vacation should be! And if you have children…the resort will keep them occupied while you get a few hours of sunshine or exploration in! I hope you win and I hope you choose The Now Jade! Good luck! I would LOVE, LOVE, LOVE To visit an all-inclusive with my kids and husband. My husband and I visited Riviera Maya last February, and the whole time we kept saying, oh how we wished our kids could have come with us, but we stayed at an adult only resort, secret silvers ands. We have wanted to take them back to a family resort ever since. If we win this giveaway it will be a dream come true!!! Would love to go to Now Jade, WOW! The Dreams Huatulco Resort & Spa sounds great ! I would choose the Now Amber because I have been to Cancun but never to Puerto Vallarta, and I love to try new places! They all look awesome! Been to Dreams PV and loved it, would love to try a Now resort. I shared on Twitter. 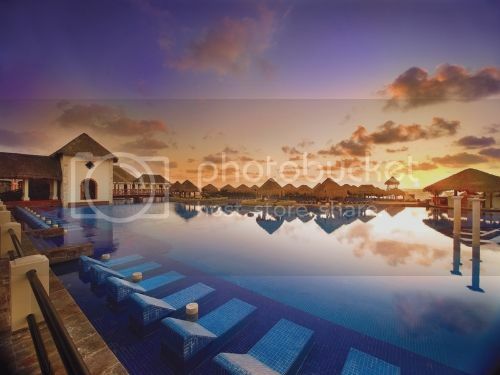 I’d like to visit the Now Sapphire Riviera Cancun, drink pina coladas by the pool, and get a massage. The Now Larimar Punta Cana for my wedding anniversary in March. I need to escape NYC! Blizzard titanic is coming Sunday. My wife and I just returned from perhaps the best vacation of our entire lives, which also happened to be our Honeymoon! We stayed at Now Amber in Puerto Vallarta and the entire experience warrants an easy 5-Star, A+ rating. From the minute Carlos greeted us with a chilled glass of champagne and an ice-cold orange scented towel at valet, to the minute Roberto sadly helped carry our bags down from our room to our departing taxi, we were treated like royalty. This is something that you just don’t find nowadays and it was a welcomed surprise. Having researched All-Inclusive resorts for a few weeks before stumbling upon Now Amber, we knew this was the place for us once we saw what great reviews the property had received on TripAdvisor and similar sites. Compared to similar resorts the price was better and the overall vibe was that everything from the location to the food to the service was amazing. It seemed like every guest we met while there said they had been to countless other All-Inclusive resorts all over the world and this was by far the best they’d ever been to. We felt so lucky to have found such an amazing place on our first ever visit to an All-Inclusive resort! Every single person who works at Now Amber was extremely professional and genuine. No matter what they were doing everyone always responded to us with “My Pleasure.” It was almost laughable because everyone was so unbelievably nice! The food was all delicious and served in the most artistic way possible. No matter where we chose to eat, every restaurant felt like it was the best one on the property. We ate at the Italian, French, Mexican, Japanese, and Market Cafe restaurants for dinner two times while we were there. Every single meal deserved 5-stars. Every drink we ordered was also very delicious and the best part was the never stopped flowing until we chose to turn in for the night! Leon was our favorite lobby bartender, Javier & Jose were the best pool bar bartenders ever, and Jonathan & Hugo were the best poolside bartenders during our stay. Perhaps the favorite thing about our entire stay was the pool area and the Entertainment Staff. Although there was eight or so different entertainment staff, Alejandro and Hugo were our favorites! Every day they made us laugh and we thoroughly enjoyed partaking in all of their different games and entertainment. I could go on and on about how amazing this resort is, but alas I must conclude. Now that we’ve had the chance to experience this resort with just us two, we cannot wait to return (hopefully soon) with all of our friends and family. This is definitely a place that we foresee ourselves visiting fro many years to come!